That's the headline the party leadership wants us to read. And that's the way Labour announced the outcome and briefed journalists in a spin operation by Corbyn allies after the meeting.But as ever with Jeremy Corbyn's party these days, nothing is quite as it seems.And, predictably, the outcome of the NEC meeting was a messy fudge rather than a clear-cut decision.That's because Labour has added what it calls a "clarification" on criticising Israel. Others have described it as a "proviso", a "caveat", or a "free-speech clause".Critics have dismissed it as a "right to be racist" clause, however. 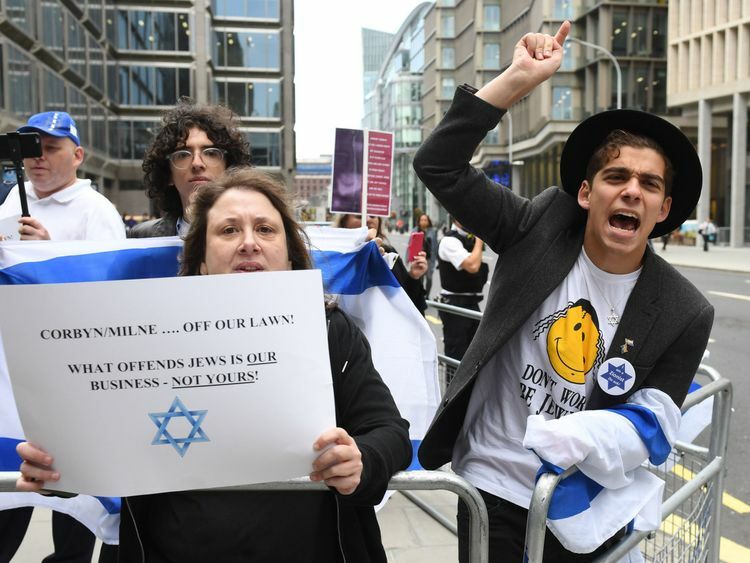 This is how the party announced the decision: "The NEC has today adopted all of the IHRA examples of antisemitism, in addition to the IHRA definition which Labour adopted in 2016, alongside a statement which ensures this will not in any way undermine freedom of expression on Israel or the rights of Palestinians. 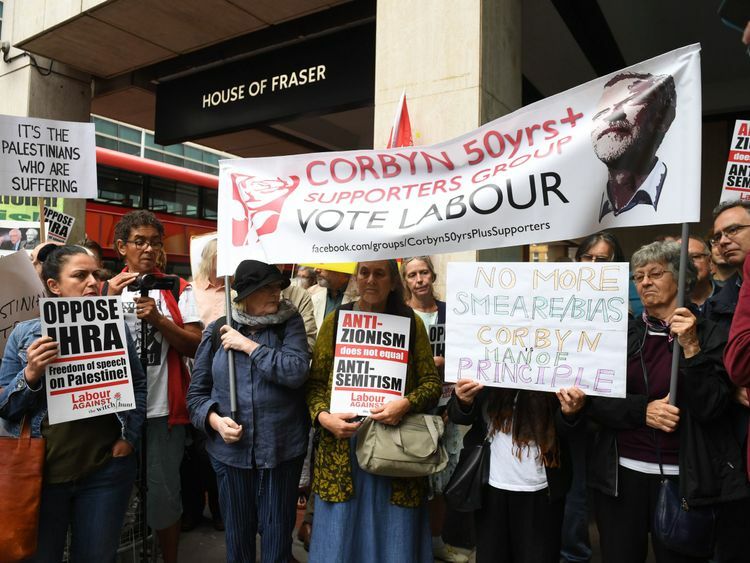 "The NEC welcomed Jeremy Corbyn's statement to the meeting about action against antisemitism, solidarity with the Jewish community and protection of Palestinian rights, as an important contribution to the consultation on Labour's code of conduct. "The key part of that statement is the second half of the first sentence, about not undermining freedom of expression on Israel or the rights of Palestinians.So the battle is far from over, with the hard left determined to harden up the clarification/caveat/free-speech clause and Jewish MPs and organisations equally determined to dump it after Labour's conference in three weeks' time.Stand by for a big row in Liverpool.There are conflicting reports about what happened inside the NEC meeting, held on the eighth floor of Southside, the shiny glass office block on Victoria Street close to the Houses of Parliament. Note that the official Labour Party announcement refers to Mr Corbyn's statement to the meeting. It seems that most of the argument inside the meeting was about the leader's statement rather than accepting the IHRA definition.For instance, Mr Corbyn at first proposed: "It should not be considered antisemitic to describe Israel, its policies or the circumstances around its foundation as racist because of their discriminatory impact, or to support another settlement of the Israel-Palestine conflict. 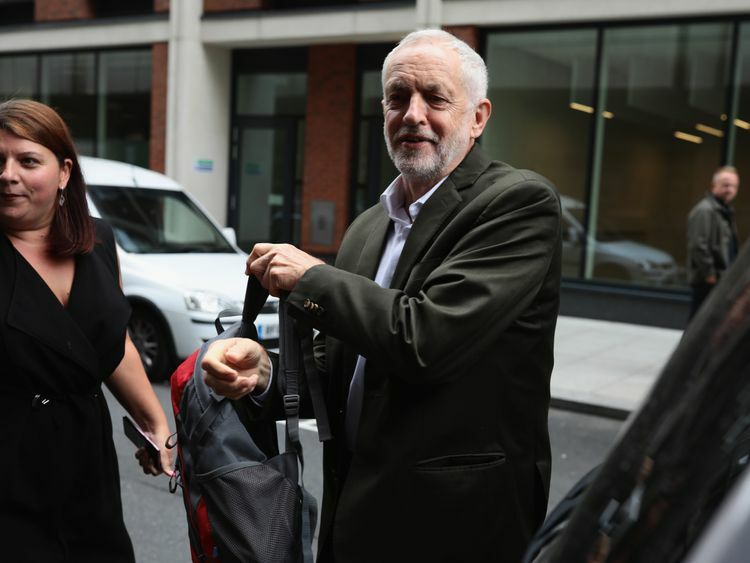 "It seems that the Corbyn climbdown was to withdraw that sentence and replace it with a shorter, less contentious version. One source claimed: "Team JC climbed down completely. The statement he proposed got completely scrapped. "Well, up to a point. It seems that at the last moment during the four-hour debate a binding vote was avoided by adding the free-speech provisions to the consultation on recommendations from Labour's so-called "democracy review".What that means - ominously for those so-called "moderate" Labour MPs who are sceptical about this NEC deal - is that the issue can now be re-visited after Labour's conference when the newly elected NEC can look at it again.The statement finally agreed without a vote reads: "We recommend that we adopt the IHRA in full, with all examples. This does not in any way undermine the freedom of expression on Israel or the rights of Palestinians. We re-invite organisations to engage in consultation on the code of conduct." Do not underestimate the significance of those newly elected NEC members, the left-wing pro-Corbyn slate of nine Momentum backers that includes the new pantomime villain of the Labour left, veteran activist Pete Willsman, who was controversially re-elected to the executive despite - or perhaps because of - his Jewish "Trump fanatics" rant at the July NEC meeting.But it's not just the left for whom this row is not over.Margaret Hodge, who has been on a collision course with Mr Corbyn all summer, reacted on Twitter: "Two steps forward and one step back. Why dilute the welcome adoption IN FULL of the IHRA definition of antisemitism with an unnecessary qualification?" Perhaps the most amusing reaction to the NEC decision, however, came from Peter Hain, the Labour peer who made his name campaigning against apartheid.He tweeted: "About bloody time. Our party historically has led the fight against antisemitism, racism and Islamophobia, which by the way is the most effective agenda for supporting justice for the Palestinians."